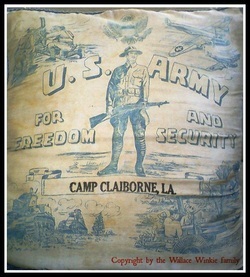 Souvenir silk pillow cover Wink purchased at Camp Claiborne, LA, in 1941. 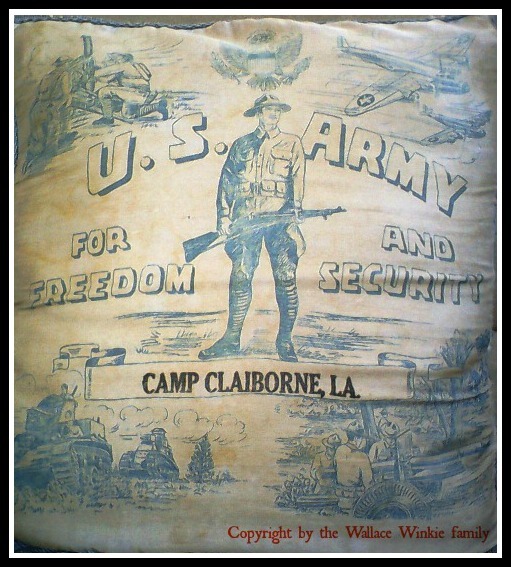 On February 10, 1941, Wink left Mason City, IA, with the 133rd Infantry on a train bound for Camp Claiborne. He left for the European Theater in January of 1942. He was among the first troops sent overseas. Visit the Guest Speakers page to hear Wink tell about training at the camp. Wink sent this mini porta potty from Camp Claiborne to his aunt in Burt, IA. These gag gifts played off the draft (If You Gotta Go . 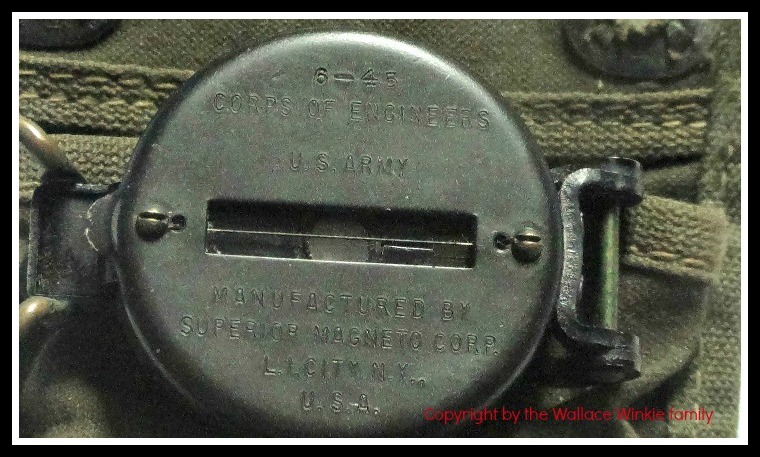 . .) and were common during WWII. 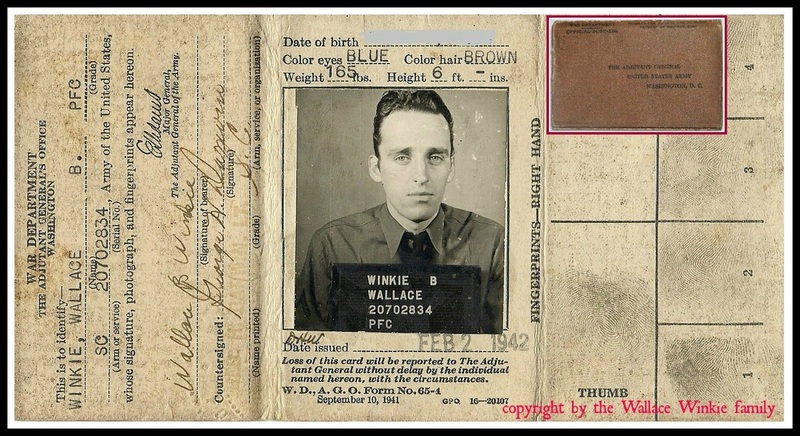 Wink and his fellow soldiers needed a passport in order to travel to Europe for the war. Wink (like other GIs) wrote home on the V-Mail form. 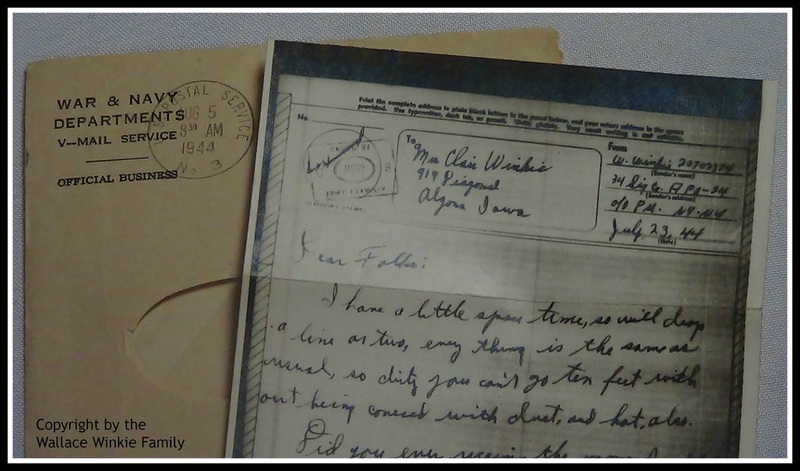 After censors cleared these letters, they were photographed onto 16 mm b&w film. The reel of V-Mail film was shipped to the States, where copies were printed on 5x4 in. paper and delivered. The purpose of V-Mail was to save space on cargo ships. 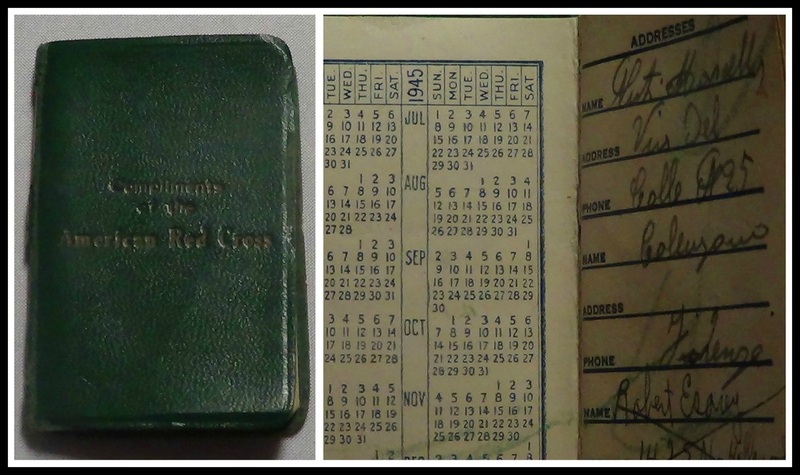 Wink's Red Cross-issued address book. The Red Cross also distributed coffee, doughnuts, and cigarettes. Wink drank the coffee, ate the doughnuts, and sold the cigarettes. 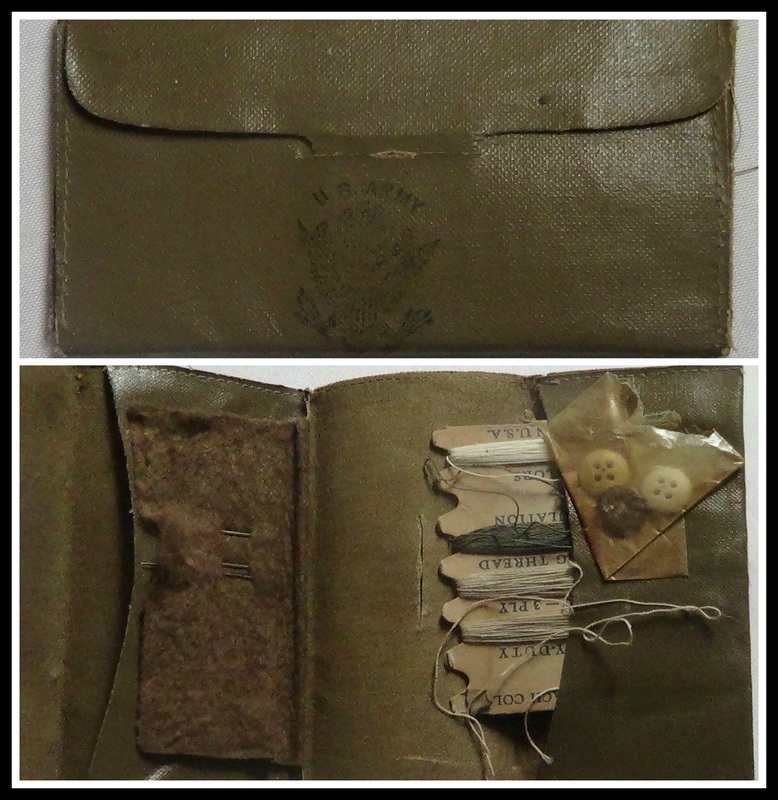 Standard-issue sewing kit that G.I.s used to repair buttons or other damage to uniforms. Wink carried his throughout the war. This inflatable life belt (top) was worn around the chest and then inflated. The belt was marked with the warning, "not a life preserver." The inset shows the directions for inflating the life belt. 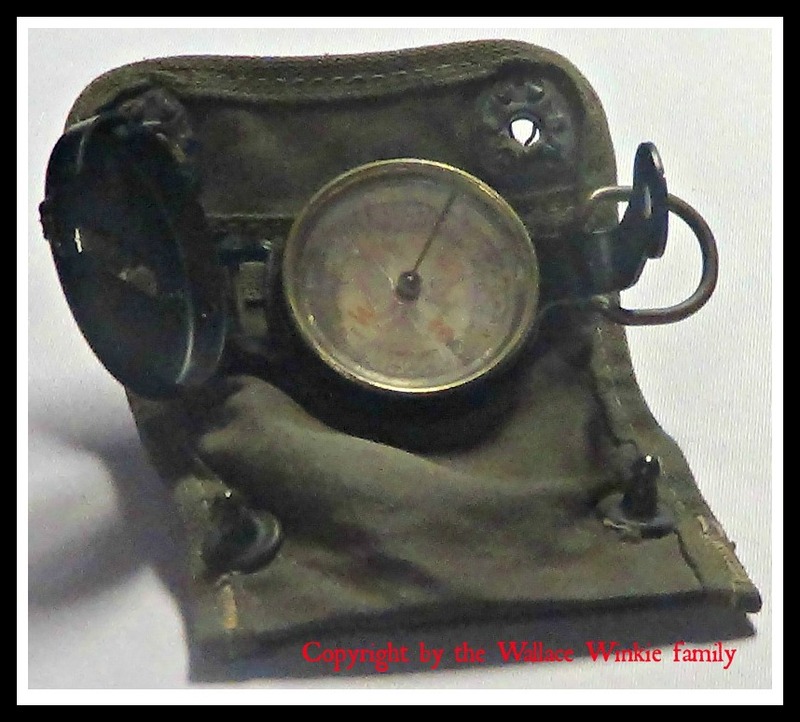 Wink carried this compass, standard issue during the war, throughout his time overseas, including Ireland, Africa, and Italy.